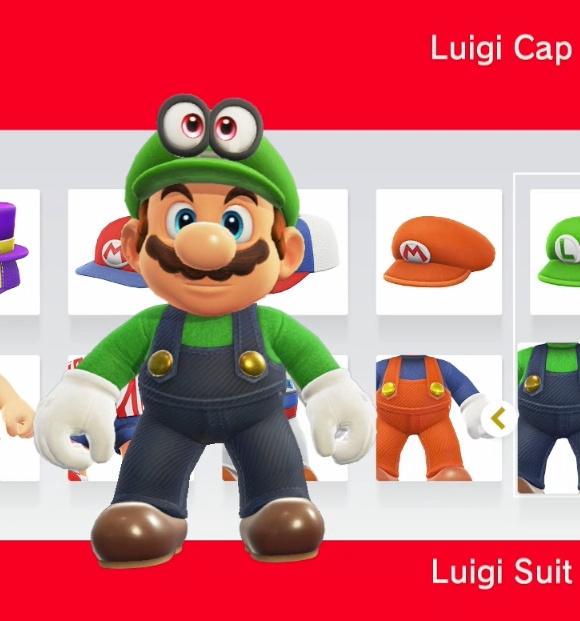 The ability to change Mario's outfit in Super Mario Odyssey is one of the many reasons we love this video game to bits. We're not saying we dislike the character's iconic dungarees, you understand - they're timeless, darling - but it's nice to have the option to change things every once in a while. If you couldn't agree more but are finding it tricky to fill out your wardrobe then you might want to search around in the back of your cupboard to find those amiibo things that were all the rage 18 months ago. Some of them unlock costumes in the game - although before you reach for your pitchfork and flaming torch, it should be said that none of these are locked to amiibo. If you have the perseverance, you can acquire them without using any plastic figures whatsoever. 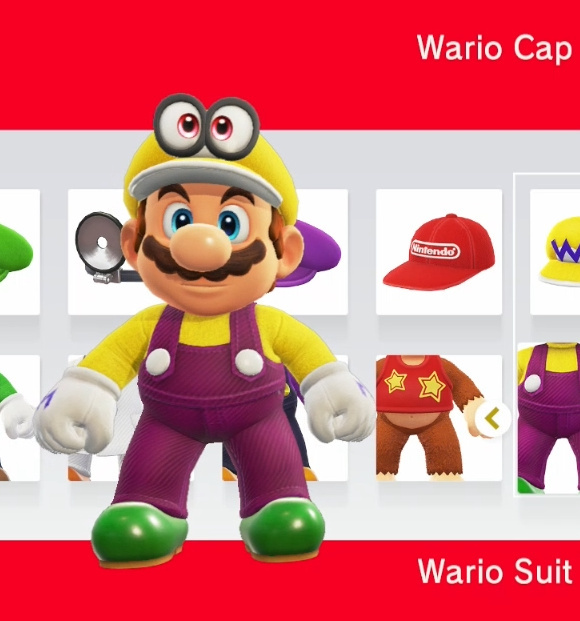 Without any further ado, here are the costumes you can unlock with your amiibo. 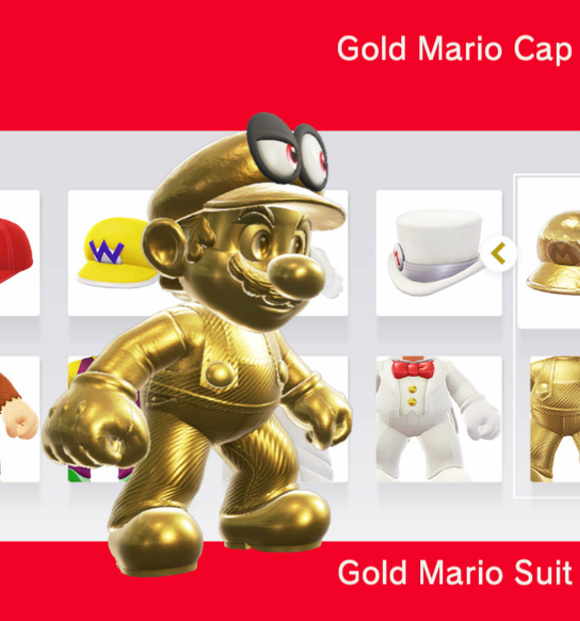 @Radbot42 IGN lists the Silver and Gold Mario as both giving the Gold outfit. I used my Silver Mario amiibo - first one I tried - in the Sand Kingdom and it gave me the gold hat and clothes (that's how they're listed). Basically turning me into C3PO on Tattoine. Skylanders Bowser gave me a few coins. SM Peach gave me a 6 heart. Yarn Yoshi I think gave me 1 heart. I stopped trying after that. If anything else unusual pops up I'll let ya all know. 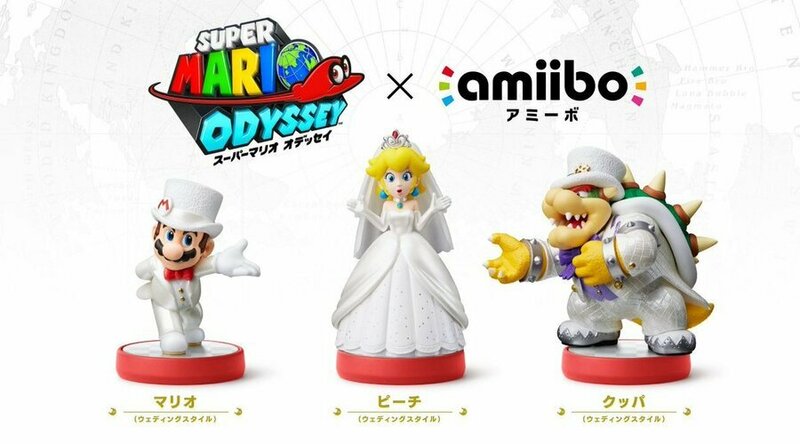 Not planning on getting any of the new wedding amiibo though, I'm not impressed. How many people have access to some of these amiibo? Like the gold or silver Mario, maybe both, didn't get released in Europe. The regular Mario amiibo also gives you the classic outfit, the same one as the Mario Maker amiibo. @SLIGEACH_EIRE To be fair, you can unlock all this stuff in game too. Will unlock these the more difficult and fun way. My kids use the amiibos and helps a lot. Especially the peach amiibo. I have all the amiibo but chose not to use them. I'd rather unlock them myself, that way I have goals to work towards. Makes the game last longer. @Nekoo77 Then that's fine, as long as they're not impossibly hard to unlock. @Radbot42 You have to unlock at Uncle Amiibo, using this amiibo in stage gives you 30 seconds of star power invincibility instead. Got the wedding Bowser and Peach today. My mom and stepdad gave the family an early Christmas present in the form of the Super Mario Odyssey bundle. Will try these soon. @1UP_MARIO Well, you need a certain number of moons too, but yes, coins are easy to farm. @Xaldin As a bit of a spoiler, the first Mario Odyssey amiibo outfit is unlocked after beating the game. Was about to ask when and how you‘d unlock the Gold Mario costume but I just gathered enough Moons for me to be told there were new items in stock so when I went to check, it was them. Still got 3000 altogether. The silver one didn't get released in Europe and is one still missing in my collection. @Nico07 Thanks for the info but I already have all the outfits unlocked/in the shops. I'm just working on saving the coins to buy the Peach and Bowser outfits now. @Pokefanmum82 what an amazing early present, nice one! 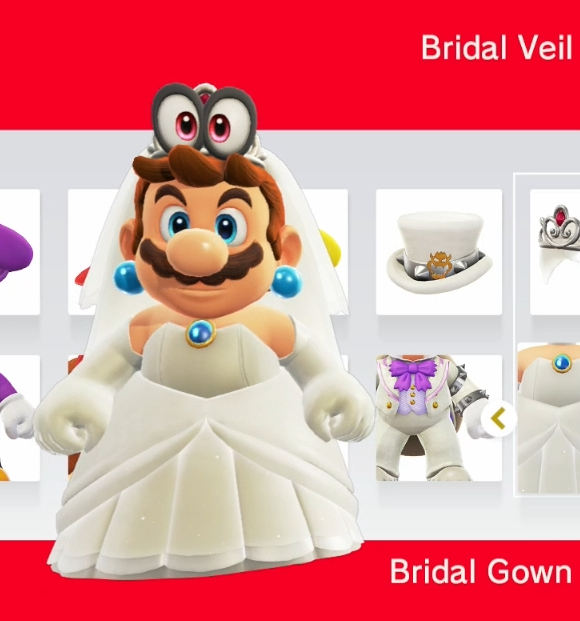 "Mario in that wedding dress makes me feel weird feelings"
Fashion sometimes going Crazy, Extraordinary, Couture. 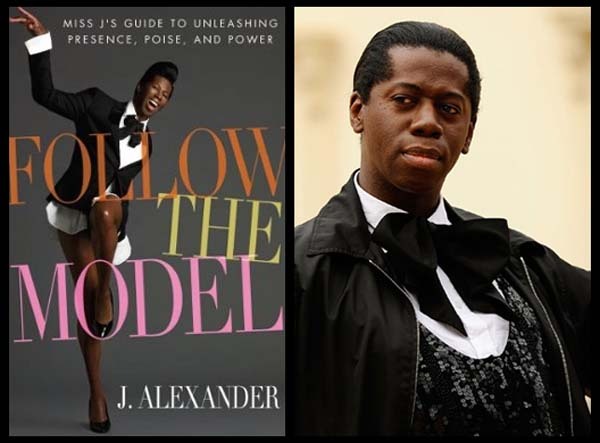 Even Miss J. Alexander from America's Next Top Model wears Women outfits. @darkswabber Some of them cost 1-2 thousand coins. Which still isn't that bad considering coins are easy to come by. @Anti-Matter Haha, Miss J is killing it, but he doesn't make me tingle like Mario and that dress. Smokin'. Amazon UK listing for £60. Thanks but I won't pay for scalper prices. I regret not importing from AmiAmi when I had the chance. I love my Smash Bros Waluigi amiibo. @BensonUii Just to confirm - the eBay listing isn't mine. Lol. I didn't mind who it was from but I can understand why you're being defensive. cheers. I'm relieved that all versions of Mario (Smash, Super Mario series, etc.) are recognized as Mario. It was annoying in Samus Returns that different versions of Samus were considered different amiibo. The new Odyssey amiibos? They're up on Amazon Italy for 15€. Amazon Italy got greedy though. New amiibos are 20€ each except when they're price matching GameStop Italy (when in stock) to normal prices (15€). 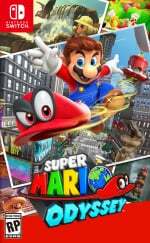 Currently Bowser is 20€ because it's out of stock in GS Italy. You're from the US. Nevermind. Try amiami.com or hlj.com. I buy from there along with some friends on the chat that are NLife readers as well. @SLIGEACH_EIRE you can probably buy them as cards on eBay-cheap as chips to boot. @darthstuey I did that for BOTW. @Matthew010 To change your country, go here, http://www.nintendolife.com/user/settings , click on preferences and it's the first option you'll see. You can unlock all these without using amiibo if you so wish. The article is not 100% correct so I'll share how it actualy is. @SLIGEACH_EIRE Thanks - You've really changed recently from the sarcastic Switch will fail comments to Switch is actually ok. Thanks for the help! @thesilverbrick Not for Peach and Bowser. 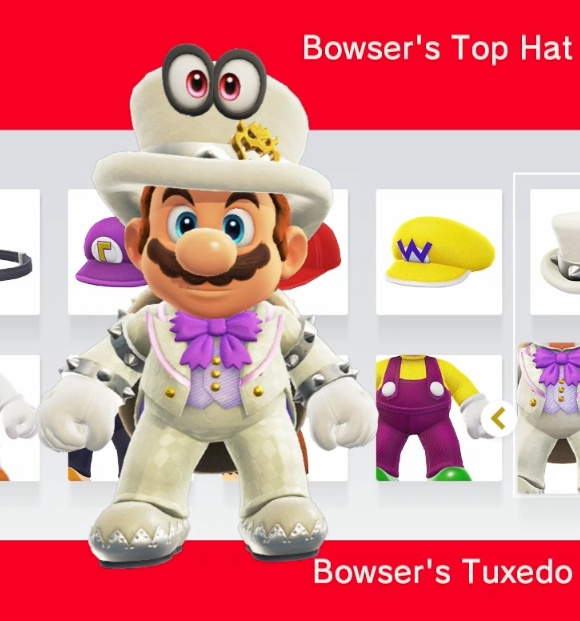 Anyone else wonder how Bowser's shell is on the OUTSIDE of his tux? @memoryman3 Are you sure? I use my Smash Bros. and Mario series Bowser and Peach to reveal purple coins and gain extra hearts all the time. Unless you mean to unlock the wedding outfits. That's the one thing they can't do. @thesilverbrick They don't even unlock outfits at all! Honestly the Amiibo functionality is kind of lacking in this game. All of the costumes can be purchased in game without owning the figures; and there is a lack of overall Amiibos that actually work with this game as far as I know. We got excited yesterday when we discovered Uncle Amiibo so we gathered up a bunch of figures and most did nothing besides giving a heart or a few coins. 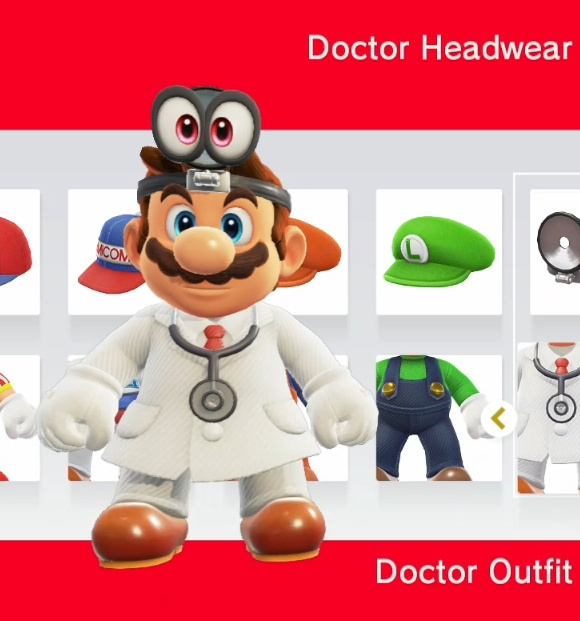 I guess it takes a lot of space/time to create hats and outfits for every amiibo; and maybe that would have meant that we didn't receive something else instead. My Silver Mario unlocked "gold" costumes. @memoryman3 True, but at least you can use them to show purple coins or give extra hearts. 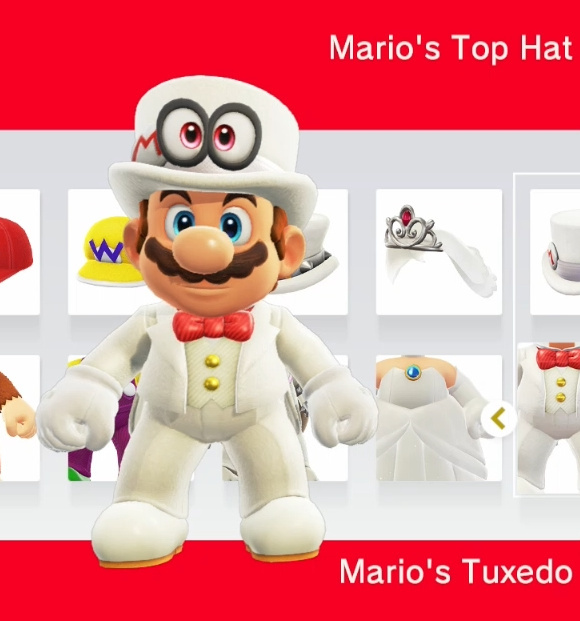 And the wedding outfits can be unlocked normally through collecting moons and coins, so you're really not missing anything. @memoryman3 They give hints for stuff unless you've already used all the hints for that level or if you've already found the stuff they're giving hints for. Thats how you do it, no outfits locks behind amiibo. Btw NLife amiibo are still cool. @SLIGEACH_EIRE It seems the outfits are mostly progression based with more outfits available in shops, the more moons you've collected. All shops appear to be near a checkpoint (which apparently you can warp to). The outfits are split between either kingdom specific or not (with regular coins for regular outfits and region specific currency for regional outfits). Regular outfits are probably easier to get since gold coins respawn. I really wish there was a Link (preferably Toon Link) costume. Aren't there more than 10 of them now? @thesilverbrick I have the same issue where Wolf Link amiibo is not recognised as Link in any game. SSB and MK says not compatible, Hyrule Warriors sees it as Midna. I really need to get a 30th anniversary Link. @Siddif That one doesn’t particularly bother me, since there are currently at least ten amiibo that register as Link. It’s a bit of overkill. It does bother me that you need a million versions of Link to unlock everything in Breath of the Wild, and they’re all nearly impossible to find. @thesilverbrick I only have 3 Amiibo, 30th Mario (modern), SMB Luigi and Wolf Link. thats why it bothered me that my only Link Amiibo isn't recognised as Link (despite being called Wolf link) but at least it has a unique function in at least 2 Zelda games that isnt unlocked in game. @Siddif The Wolf Link amiibo got far more love than any other specific Link. In fact, the Twilight Princess Link amiibo doesn’t do anything unique at all. Games recognize it as the SSB Link. Silver Amiibo doesn't do anything after you get the gold outfit from the gold amiibo. Wouldn’t peach’s wedding dress technically be called the lochlady dress? Silver Mario also unlocks the gold costume, and Super Mario series Diddy Kong also unlocks the Diddy Kong costume. The Waluigi amiibo is not from Smash! I'm back from my shopping trip. I walked back and forth through Best Buy, Walmart, Target, GameStop, Toys 'r Us, and Fry's Electronics, and none of them had a Smash Bros. series Waluigi amiibo. I feel like I've been tricked. Well, at least Waluigi is still playable in Super Smash Bros. for Nintendo Switch, right? The Boweser wedding amiibo is a pretty cool figure, it is very detailed and has some heft to it. 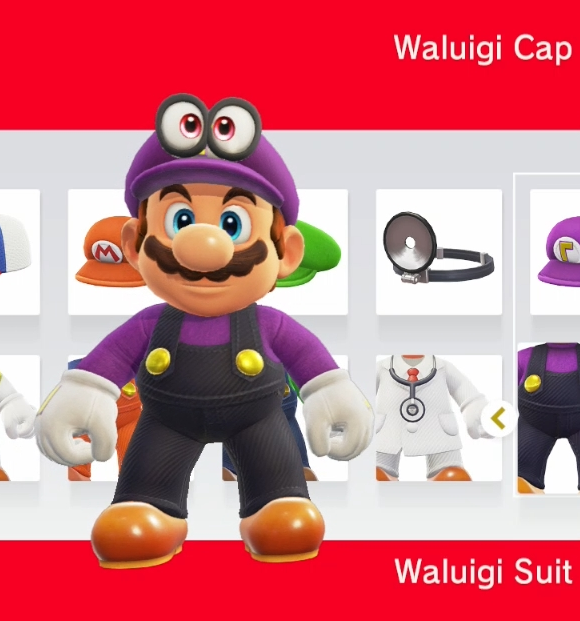 @kayfios the waluigi outfit is unlocked pretty easily in-game if you are wondering. The barely available Gold Mario amiibo continues to get support and Nintendo hasn't restocked either the Gold or Silver Mario amiibo since their original release over 2 years ago. I could just punch the idiot at Nintendo HQ who decided to limit them this way. I couldn't even pre-order the damn things or even go in-store to hunt for them at the time as I was overseas. 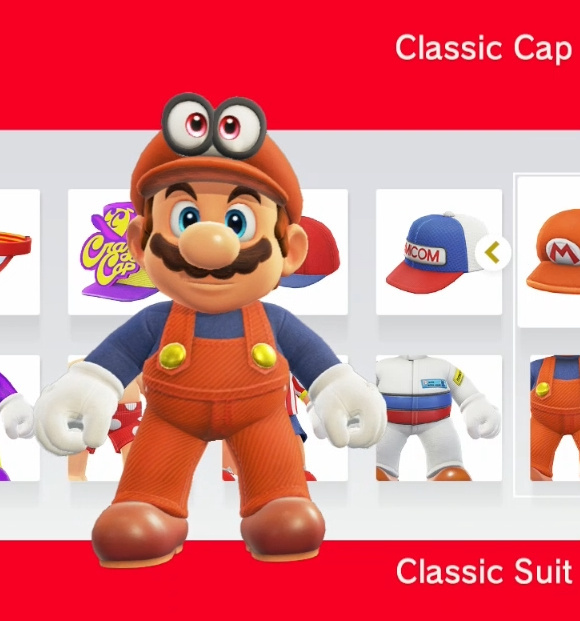 I was hoping for more outfits considering how many Amiibo there are and how Super Mario Maker got a ton of those 8-bit styled outfits. I LOVE how Mario can wear peach's dress. He cannot wear normal Peach's dress. Great to hear that you can get everything WITHOUT Amiibo! Great news! No Legend of Zelda-related outfits at all...? That's very surprising, considering the plethora of outfits and prominent role they play in both this game and Breath of the Wild, plus the gargantuan amount of Legend of Zelda amiibo in existence. However, random stuff like having a Diddy outfit while ignoring Donkey Kong, for example, gives me confidence there'll be more to come. @Totaldude911 You cannot unlock it with Super Mario Peach or Smash Bros Peach though. Only Wedding Peach. @memoryman3 No, no, I've confused people. I know exactly how this wedding dress thing works. I just don't want to get caught up in semantics. Sorry for the confusion. 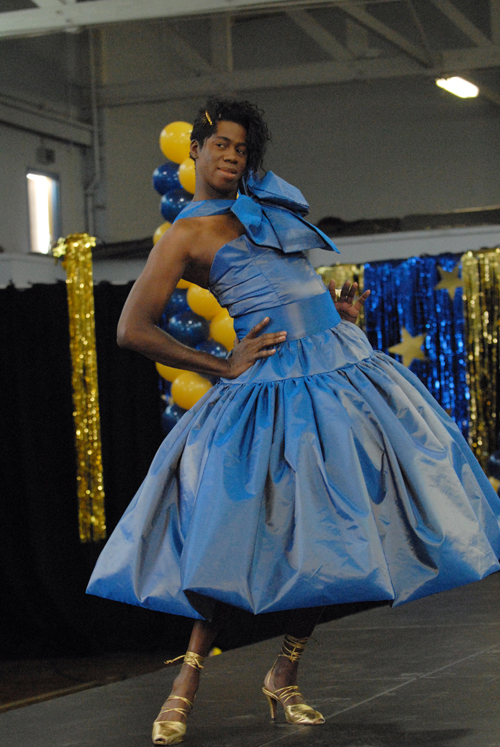 All I wanted to say was Mario looks really cute in the dress.